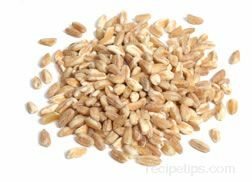 Like many other foods, grains are perishable; however, the shelf life of grains is usually much longer than that of most foods. To ensure optimum freshness and shelf life, it is always best to buy grains that are well packaged and well sealed. Grains should always look and smell fresh. 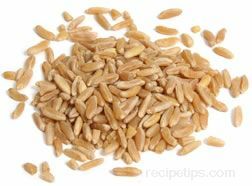 When looking for grains that are not as commonly used as others, freshness may be optimum when the grain is purchased from a specialty shop or natural food store than from a supermarket. 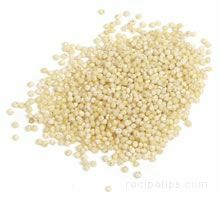 This is because an uncommon grain (in the United States), such as quinoa, is purchased much more often in a specialty shop by people looking for that specific item than by the average customer in a large food store. For home storage, keeping grain sealed in containers with tight fitting lids is often the best method for keeping grain fresh, especially when the container of grain is stored in a cool, dry, and dark location. A sealed container is very important for maintaining freshness and reducing the possibility of infestations. 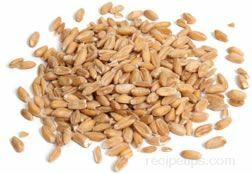 An important point to remember is that whole grain does not keep as long as pearled or refined grain, because the germ portion of the kernels can cause the grain to become rancid over time. 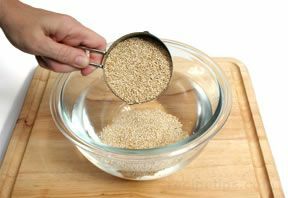 Never use grain or grain products that do not look or smell the way they should. 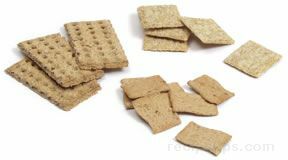 It is best to buy smaller quantities of grains and grain products if you are finding it necessary to continually discard large amounts of grain due to spoilage. The refrigerator can be a good place to store grains, especially in warm weather; however, using a sealed container is even more important in this case in order to prevent the grain from absorbing moisture and odors and flavors from other foods stored in the refrigerator. For long-term storage, the freezer compartment is the best place to store grains, but again, the grains must be in a sealed container or tightly wrapped. It is best to store amaranth in a tightly sealed container (preferably a glass jar). The best storage location for amaranth is a cool, dark, dry location. Do not store amaranth in a cabinet near a stove, oven, or dishwasher. The heat from these appliances will greatly reduce the shelf life of the grain. Amaranth can have a shelf life of up to one year if properly stored. Amaranth will not keep well if it is stored in a warm location or if it is exposed to sunlight. The flavor and aroma of amaranth will become bitter if it is stored improperly or if it is stored for an excessively long period of time. For cabinet storage, it is best to store barley in sealed containers of plastic or glass. The grain should be tightly wrapped for refrigerator or freezer storage. The best storage locations for storing barley are cool, dry areas away from heat and light, or store it in the refrigerator or freezer. Barley can have a shelf life of up to one year if properly stored. It is best to store barley in the refrigerator or freezer during the summer months or year-round in hot climates, but it must be tightly wrapped to reduce the possibility of the grain absorbing moisture from the refrigeration compartment. 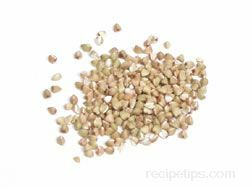 Buckwheat should be tightly wrapped for refrigerator or freezer storage. 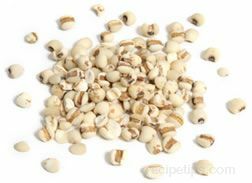 Again, it is best to store buckwheat in the refrigerator or freezer. 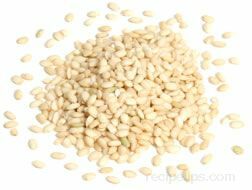 The shelf life of buckwheat can be up to 2 to 3 months in the refrigerator and 6 months or longer in the freezer when stored correctly. 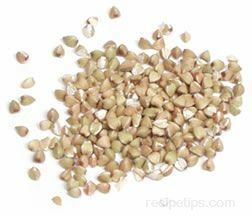 Buckwheat must be tightly wrapped to reduce the possibility of the grain absorbing moisture from the refrigeration compartment. For cabinet storage, sealed containers of plastic or glass are the best for storing whole corn kernels and popcorn. Choose a cool, dark, dry location for storing dry corn grain products. 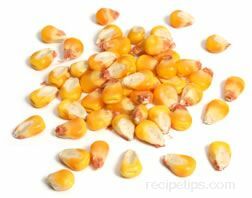 Dried whole corn kernels and popcorn may keep for several years if properly stored. For cabinet storage, sealed containers of plastic or glass are the best for storing farro. The grain should be tightly wrapped for refrigerator or freezer storage. 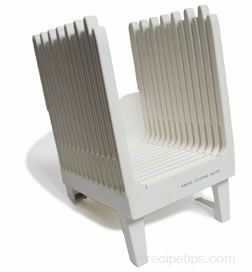 Cool, dry locations away from heat and light, or refrigerator or freezer storage are the best storage locations. Farro may keep for up to one year if properly stored. 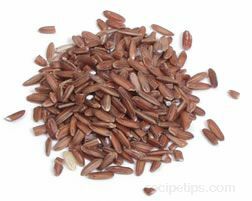 An airtight container that does not permit light to pass through is the best type of container to use for storing flaxseed. 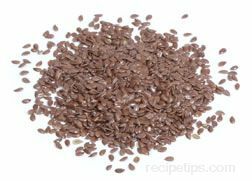 Flaxseed should be stored in a cool, dark, dry location away from heat. Flaxseed will last several months if properly stored. Exposure to light will deteriorate the effectiveness of the omega-3 fatty acids in the flaxseed, which are so effective in reducing cholesterol; therefore, it is very important to store flaxseed away from light if you wish to enjoy the benefits of this heart-healthy seed. 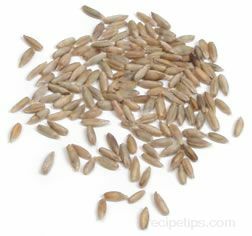 When shopping for flaxseed, look for packaging that protects the seeds from exposure to light. Airtight containers of plastic or glass or tight wrapping are best for storing Job's Tears. The best place to store Job's Tears is in the refrigerator or freezer. 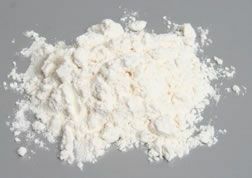 Job's Tears will keep for several months in the refrigerator and six months or more when stored in the freezer. Sealed containers of plastic or glass are the best the best storage containers for keeping Kamut® fresh. Store Kamut® in a cool, dry location, such as a kitchen cabinet away from the heat of a stove or oven. Kamut® may keep up to one year, and possibly longer, when it is properly stored. 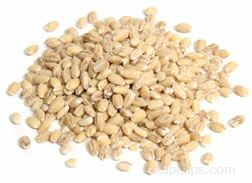 Whole-grain Kamut® usually lasts longer than whole-grain wheat, because it has a lower moisture content than wheat. For cabinet storage, sealed containers of plastic or glass are the best for storing millet. 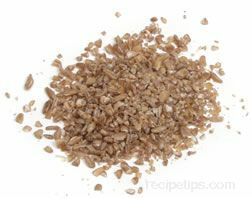 The grain should be tightly wrapped for refrigerator or freezer storage. 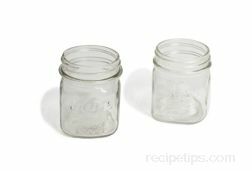 A completely filled and sealed glass jar also works well for refrigerator storage. The best locations for storing millet are a cool, dry cabinet or the refrigerator or freezer. 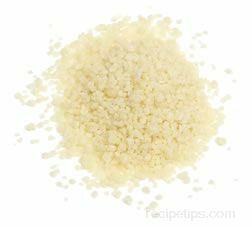 Millet can become rancid quickly if it is not stored properly. Oats should be stored in sealed containers of plastic or glass. A cool, dry, dark cabinet is the best location for storing oats. Oats will keep for one year or longer if stored properly. 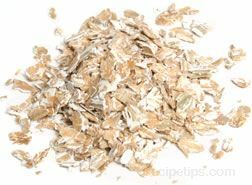 The high level of antioxidants in oats helps to prevent spoilage; therefore, oats will keep for very long periods if properly stored. 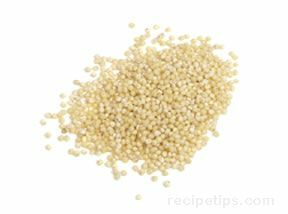 Sealed containers of plastic or glass are best for storing quinoa. The best location for storing quinoa is in a cool, dark, dry cabinet. 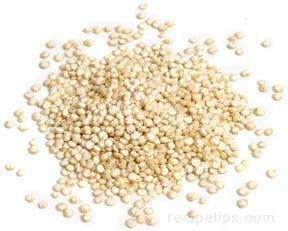 Quinoa will stay fresh for one year or longer if properly stored. 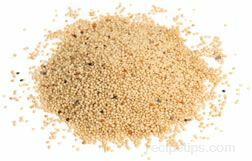 Quinoa will keep for longer periods (over a year) if it is stored away from sunlight and heat. 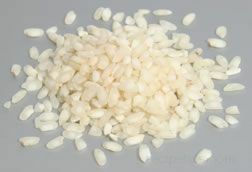 Tightly sealed plastic or glass containers are best for storing rice. Uncooked rice can be stored in a cool, dark, dry cabinet. Cooked rice should be stored in the refrigerator or freezer. Uncooked white rice will keep almost indefinitely if properly stored in an airtight container. 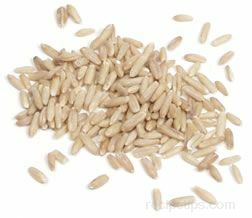 Uncooked brown rice can be stored for only a half year, because the natural oils in the bran and germ tend to cause rancidity. 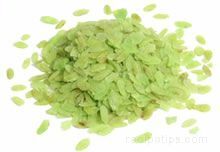 The shelf life of brown rice can be extended if it is stored in the refrigerator or freezer. 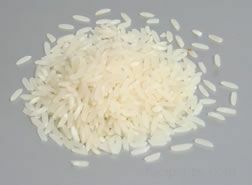 Cooked rice, either white or brown, should be stored in the refrigerator and can be used for up to 3 or 4 days. For long term storage of cooked rice, store it the freezer for about two months. 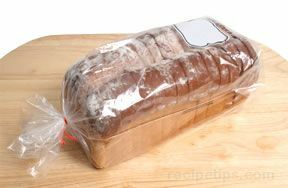 Tightly sealed plastic or glass containers are best for storing whole-grain rye. A cool, dry, dark cabinet is the best storage location for whole-grain rye. Rye will keep for several months if properly stored. Sorghum should be stored in tightly sealed plastic or glass containers. The best location for storing sorghum is a cool, dry, dark cabinet. Sorghum will keep for several months if properly stored. Tightly sealed plastic or glass containers are best for storing spelt. A cool, dry, dark cabinet is the best location for storing spelt. 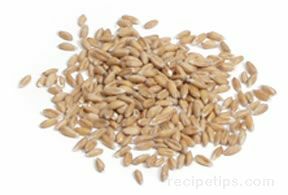 Spelt will keep for up to one year if properly stored. Tightly sealed plastic or glass containers are best for storing teff. The best location for storing teff is a cool, dry, dark cabinet. 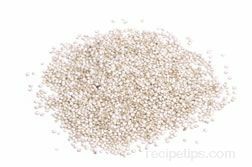 Teff will keep for up to one year if properly stored. Triticale should be stored in tightly sealed plastic or glass containers. A cool, dry, dark cabinet is the best location to store triticale. Triticale will keep for up to one year if properly stored. 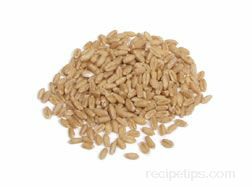 Wheat should be tightly wrapped or stored in tightly sealed plastic or glass containers. A cool, dry, dark cabinet is ideal for storing whole-grain wheat. Wheat will last up to one year if properly stored. Tightly sealed plastic or glass containers are best for storing wild rice. The best location for storing wild rice is a cool, dry, dark cabinet. Uncooked wild rice will keep almost indefinitely if properly stored. 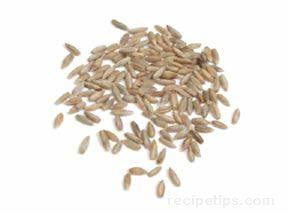 Wild rice that has been cooked can be kept in an airtight container in the refrigerator for up to one week. 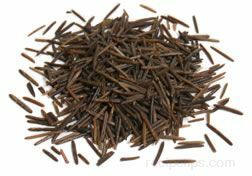 Cooked wild rice also freezes well if it is tossed with a small quantity of cooking oil and stored in an airtight container. It will keep in the freezer for six months or longer.